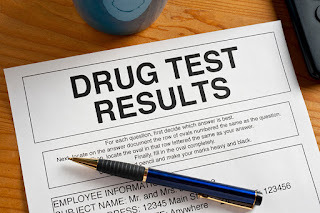 According to the annual Quest Diagnostics Workforce Drug Testing Index the rate of workforce drug positivity hit a fourteen-year high in 2018. In urine drug tests positives increased nearly five percent in both the safety sensitive workforce and general workforce. 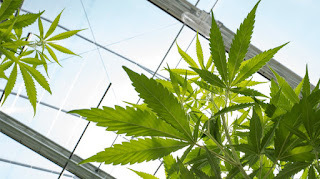 The largest percentage was seen in marijuana positives, where it increased in almost all workforce categories.For example in federally mandated, safety-sensitive workforce, marijuana positives grew nearly five percent between 2017 and 2018 and nearly 24 percent since 2014. Additional trends include a decrease in heroin and cocaine positivity as well as decline in all opiate categories for the general U.S. workforce. There has also been a rise in urine specimens coming back "invalid" in attempts to cheat the test. Another important trend to note is the increase in post-accident positive drug tests. Post-accident positivity in the general U.S. workforce climbed 9% year-over-year and 29% over five years. In the safety-sensitive workforce, positivity for post-accident testing saw a significant jump, seeing an 51 percent increase from 2017 to 2018 and a nearly 81 percent increase between 2014 and 2018. Overall, the post-accident positivity rate has seen annual increaseses since 2010. Mobile Medical Corporation (MMC) has twenty-eight years of experience working with organized labor and contractor associations as a third party administrator of substance abuse programs. Our third party administration services include program development, a nationwide testing network, data management, 24/7 web access, random administration and more. Contact MMC today to learn more. 888-662-8358 or info@mobmed.com. 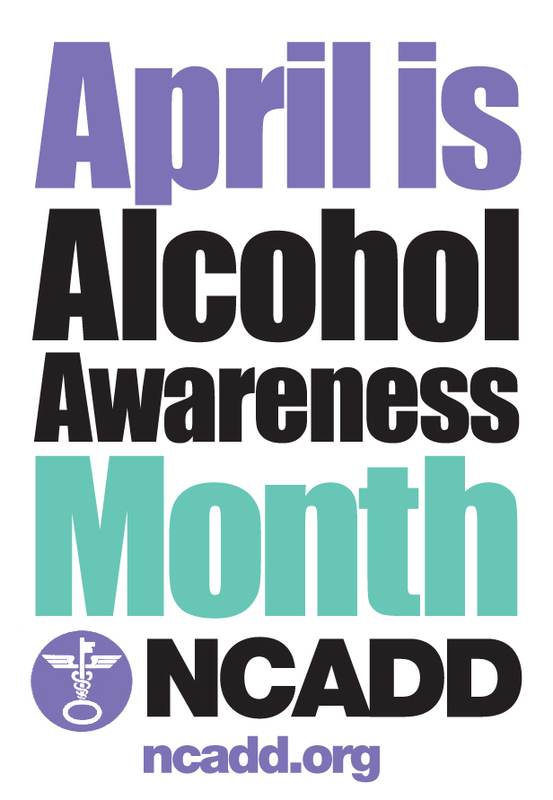 Every April the National Council and Alcoholism and Drug Dependence (NCADD) organizes Alcohol Awareness Month as a way of increasing outreach and education for alcoholism and alcohol related issues. The theme for the month this year is “Help for Today, Hope for Tomorrow”. To go along with this theme, the NCADD plans to fill the month local, state, and national events "aimed at educating people about the treatment and prevention of alcohol addiction, particularly among our youth, and the important role that parents can play in giving kids a better understanding of the impact that alcohol can have on their lives." Ask your doctors and nurses to put out alcohol awareness information in their office. Host a community event where people can learn about local addiction resources, post on social media about alcohol awareness, or contact relevant organizations and have them add information about alcohol abuse to their websites or newsletters. If you or someone you know is struggling with alcohol abuse, call 1.800.622.2255. More from the NCADD. MMC will be attending the following events in the upcoming months. If you are attending one of these events come visit us to see what we have planned for 2019! Cleveland Building Excellence and Craftsmanship Awards: Cleveland, OH. March 28th. IBEW Construction and Maintenance Conference: Washington, DC. April 4th-6th. NABTU Legislative Conference: Washington, DC. April 7th-10th. 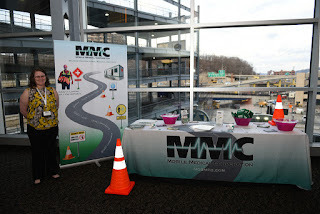 NSC Northeast Conference and Expo: Pittsburgh, PA. May 1st-3rd. National Nutritional Month is celebrated during March. The focus of Nutrition Month is to encourage people to make better food choices and develop better habits. Good nutrition can help reduce risk of illness, increase energy levels, and more. Below are a few tips to get started with good nutrition. 2) Cook and eat at home when possible. This will give you control over preparation and cooking methods. 3) Drink Water. Water is the best way to quench thirst. 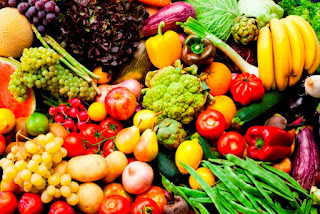 4) Eat more fruits and vegetables. The phrase "eat the rainbow" is one to live by. 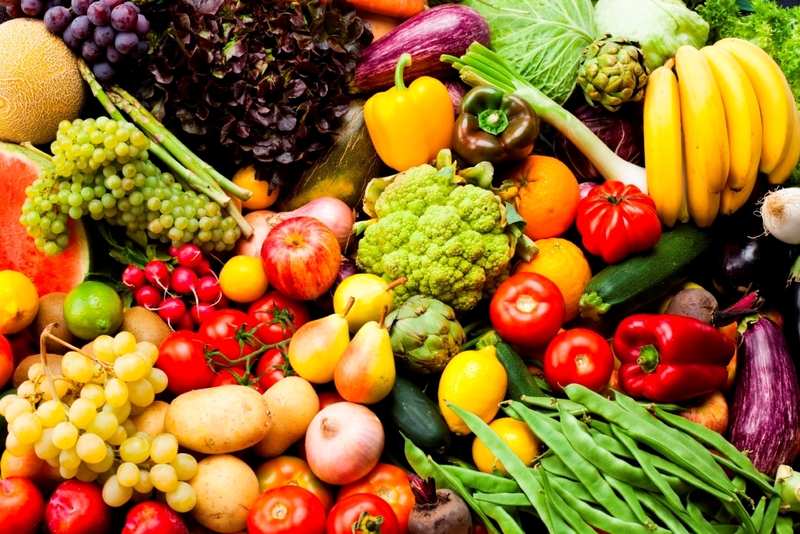 Fruits and vegetables will provide you with vitamins and minerals and most are low in calories. 5) Be aware of the different types of fats. Eat foods with healthy fats like fish and nuts. Limit foods with high saturated fats. Avoid foods with trans fat. 6) Combine good nutrition choices with moderate exercise. When it comes to occupational health, workplace safety can begin at breakfast. According to the National Institutes of Health, people who skip out on a healthy breakfast are more tired and less focused throughout the day increasing the likelihood for on-the-job injuries. This shows that nutrition can have an impact on the job. What can employers do? Starting an employee wellness program or simply encouraging good nutrition habits can make an impact on workplace safety. In December, Mobile Medical Corporation's On-site Medical Services team at the Turner Facebook NAO (New Albany, Ohio) project site hosted a food and personal hygiene drive for the M.A.S.H Pantry and Resource Center based in Franklin County Ohio. Spearheaded by Janie Donnelly the lead Paramedic for the project and Paramedics Dave Moore and Alex Matthews. They were able to assist in the resource centers expansion into Delaware County, Ohio, by filling their shelves with the collected items and monetary gifts. The drive was done in partnership with Turner Construction to raise awareness for the M.A.S.H Pantry and Resource center and support Mental Health Awareness Month in the construction trades. MMC's On-site Medical Services plans to continue to host M.A.S.H. Pantry and Resource Center’s PEER Support Group Meetings for the workforce. "(MMC and Turner's) generous support through the company 'food & personal hygiene drive' (monetary gifts to shop and elves that shopped) filled the shelves at our Delaware M.A.S.H. 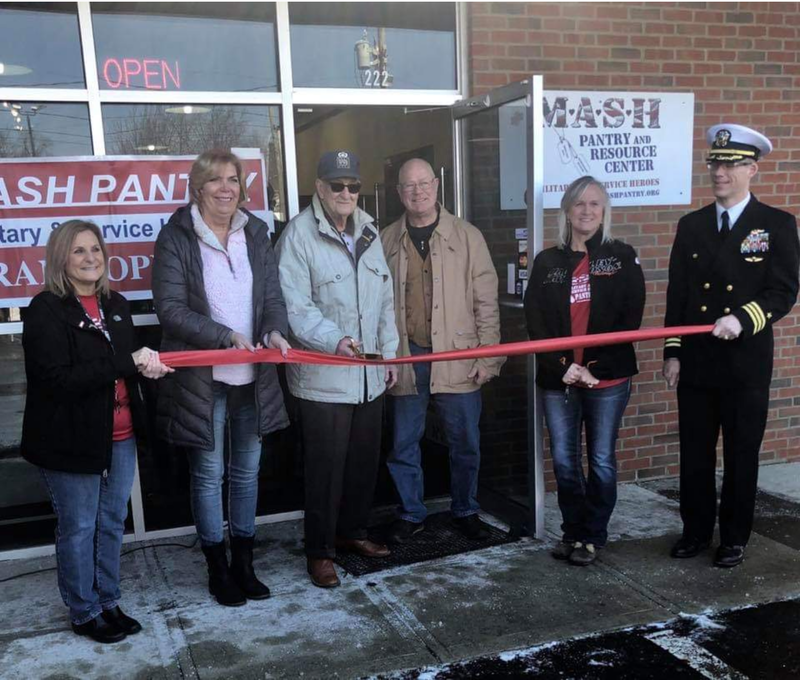 Pantry Grand opening/ Ribbon cutting. Since then, our doors have opened and we have started making a difference - 'One Veteran at a time'. Your gifts were a blessing," Amber Hudson, Founder and President M.A.S.H Pantry and resource center said. Mobile Medical Corporation (MMC) , a certified Women's Business Enterprise and a premier provider of workplace substance abuse testing and on-site medical services nationwide is proud to give back to the communities we work in. M.A.S.H. PANTRY & RESOURCE CENTER IS AN INDEPENDENT 501(C)3 NON-PROFIT. 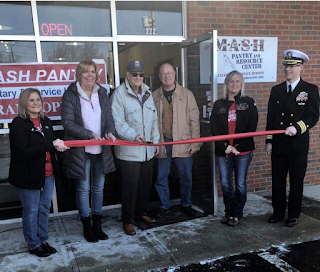 They provide food, clothing, toiletries & hygiene products, as well as emotional and physical support and resources to Military Personnel, Veterans and First Responders throughout the Columbus, OH Metropolitan Area. 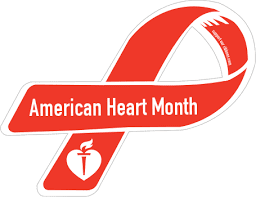 February is the American Heart Month. The American Heart Association encourages spreading awareness about heart disease and how to prevent it. Here are some simple tips to help improve heart health. It is important to monitor blood pressure, cholesterol, and get diabetes screenings. If blood pressure is high it must be treated and blood pressure screens are recommended at least once every two years. Diabetes is a risk factor for contracting heart disease so you may want to go through a diabetes screening depending on your risk factors. Avoiding smoke is one of the best things you can do for your heart. Smoking damages the walls of blood vessels that supply blood to your body and heart by reducing the amount of oxygen in your blood. According to the American Heart Association, "exposure to tobacco smoke contributes to about 34,000 premature heart disease deaths and 7,300 lung cancer deaths each year. And nonsmokers who have high blood pressure or high blood cholesterol have an even greater risk of developing heart disease when they’re exposed to secondhand smoke." Choose healthy fats like like olive oil or avocados over trans fats like red meat or dairy products. Easy choices can include trying to eat one extra fruit or vegetable per day and taking time to read food labels to avoid trans fats. Seven to nine hours of sleep is recommended by most health professionals. According to the Mayo Clinic " People who don't get enough sleep have a higher risk of obesity, high blood pressure, heart attack, diabetes and depression." According the the Cleveland Clinic "Dental health is a good indication of overall health, including your heart, because those who have periodontal (gum) disease often have the same risk factors for heart disease." Flossing and brushing your teeth daily can help ward off these health risks. Moving can be as simple as taking a quick ten minute walk. Avoid sitting for long periods of time. Here are a few easy ways to keep moving throughout the day; park farther away from the office, take a few shorter walks throughout the day, standing when possible, taking the stairs, and doing tasks around the house like cleaning and gardening. Breathing slowly and deeply for a few minutes throughout the day can help you relax and may help lower blood pressure. More American Heart Month Resources can be found here.